Elon Musk called Apple a “Tesla Graveyard” where his fired employees go to work. The Tesla CEO, in an interview with German newspaper Handelsblatt, dismissed the notion that Apple hires top engineers away from his company. Apple reportedly has set a goal of finalizing an electric car by 2019 and has been hiring car experts since the beginning of the year as part of an effort to build an automated-driving team. Musk said that although it is “good” for Apple to invest in autos, he cautioned that cars are much more complex to create when compared with the watches and phones Apple builds. Apple declined to comment on Musk's remarks. Musk also criticized the German government for not doing enough to support the development of electric vehicles. He criticized those automakers as being “too old-school” and not adapting to new technology. Musk pointed to the Volkswagen diesel scandal as a sign that the “limit of physics” has been reached on gasoline and diesel. Musk said he does not think Tesla will profit from VW’s woes. Musk said his goal of selling 300 cars per week in Germany is still attainable, despite only selling about 700 cars in the country during the first half of the year. 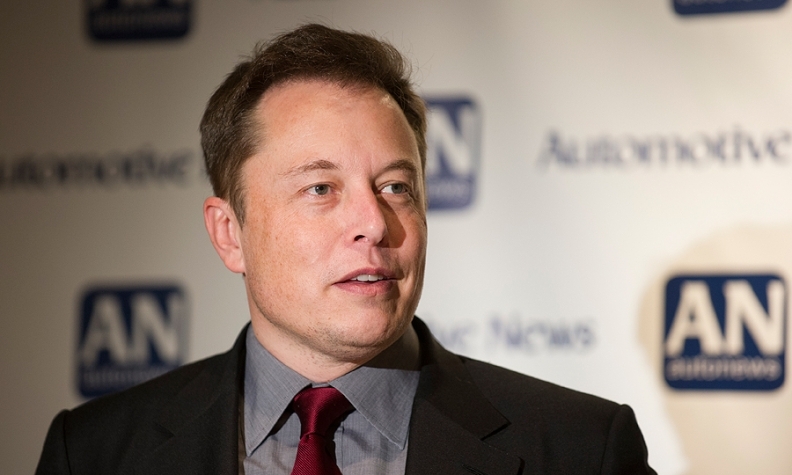 Musk said he expects Tesla to be profitable in 2016. “But we wouldn’t slow down our growth for the sake of profitability,” he said.